Since Sherrie Wilkolaski and I representing Luxe Beat Magazine were both at Bocuse d’Or with French Master Chef Herve Laurent from SCARTS, we were excited to see Team USA win the Silver. Both my husband Norm and I support Ment’or and this made it extra special. We encourage more or you to check out Ment’or for the 2017 team. This was a huge accomplishment and says so much for our chefs. 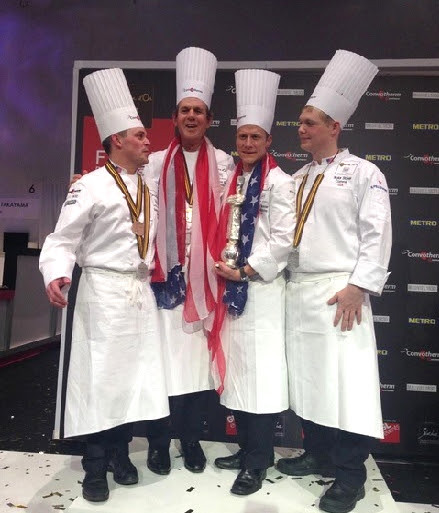 Ment’or is honored to announce that Team USA made history this week, winning Silver at the 2015 Bocuse d’Or cooking competition in Lyon, France! This is the first time the US has placed on the podium, and we are incredibly proud of Chef Phil Tessier and his Commis, Skylar Stover, for all their hard work and dedication. Over the course of two days, 24 teams of the most gifted culinary minds from across the world competed on behalf of their country and represented their nation at the World Cooking Contest. 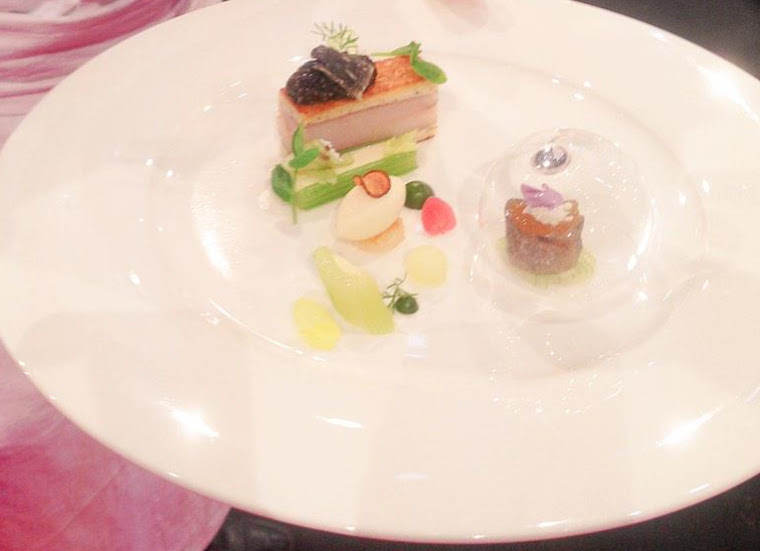 Team USA competed on January 27,2015 and presented the acclaimed panel of judges with a stunning meat platter of Barrel-Oak Roasted Guinea Hen and a beautiful fish plate, showcasing Brioche-Crusted Brown Trout Pave. 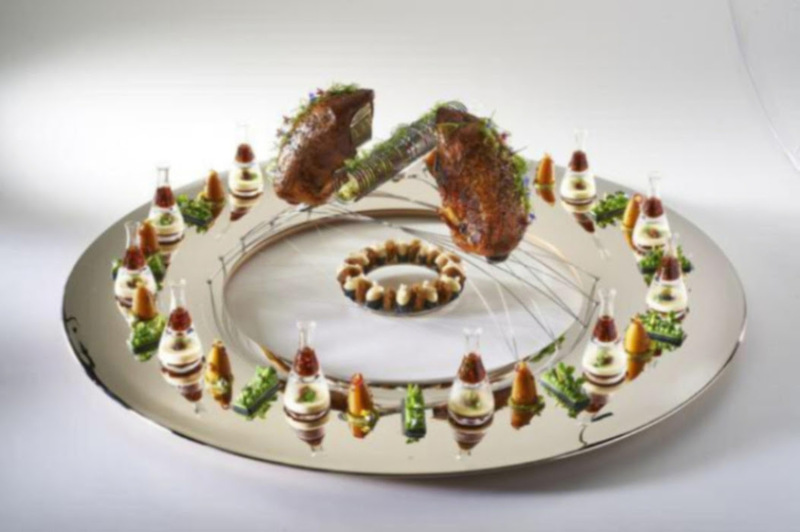 Both the meat platter and the fish plate were designed by the lauded Martin Kastner from Crucial Detail. This was a long journey filled with sacrifice, and unwavering focus and practice. We are so proud of Team USA for their extraordinary representation of America’s culinary talent and our country as a whole! We are grateful for your support, and look forward to sharing this amazing achievement with you!